These web pages are about wind music, and also have links to wind music related sites. The main emphasis is on brass and woodwind performance. Included in the broad term 'wind music' are both brass, woodwind, and almost any other instrument which uses human breath to control a sound. This site emanates from Lake Macquarie in Australia, so some of the content is locally based. Nevertheless, music being an international art, an attempt is made to cover events and information from anywhere when it is of significance to wind players. Why play a wind instrument? Answers to those questions must look at the ways listeners interact with music. There can't be many people who have not been deeply touched at some time by some form of music. Whether it be a love song which is 'killing you softly', Jessye Norman's interpretation of Richard Strauss' "Four Last Songs", a phrase shaped by Frank Sinatra or Michael Bublé, a Bob Dylan comment on society, a dazzling burst of shooting stars from the trumpet of James Morrison, a sublime moment in the slow movement of a Mahler symphony, the fierce glow of a well-tuned brass band or the impact of a live concert - these and similar moments can leave us with very warm memories nestling forever in our souls. Music has been described as 'the ultimate connection between our brain and our heart'. Music generally? One of the greater art forms. But again, why play a wind instrument? 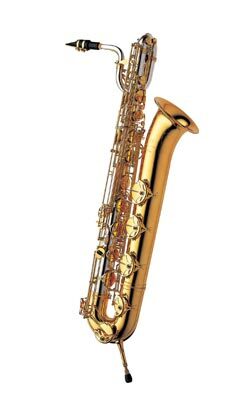 If we don't have a great voice of our own to show off, many of us turn subconsciously to a wind instrument as a substitute. What a great substitute! Wind instruments have so much going for them. How often do conductors or string instrument teachers say to string players 'breathe with the music!' - they don't have to, so they often don't. Or, talk to any good pianist of their frustration at not being able to make a note 'grow' in either volume or colour. As wind instrumentalists we can and must do such things. We are really 'singing' to our audience when we perform. 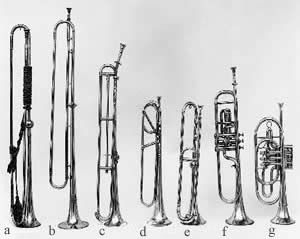 Perhaps this site may be able to provide to wind music enthusiasts, whether amateur or professional, just a few thoughts, resources, articles etc., which may be found useful, or even stimulating. Also, it is hoped that this site will attract criticisms and points of view different from mine. The site covers both brass and woodwind areas. All the content is connected directly (ok, sometimes vaguely) with wind instrument performance and practice. These pages ('Performers', 'Events', 'Education' etc.) reflect my personal biases. To help counter-balance these biases, your feedback is welcomed (use the link at the bottom of most pages). The explanations (below) give an idea of the broad page groupings of articles, pics and links around the exciting world of woodwind and brass wind music. There may be some overlaps across those categories, with some material existing on more than one page. HOME - brings you back to this page. NEWS - lists news of forthcoming performances, broadcasts, telecasts, webcasts and any events etc. of interest to wind players. RESOURCES - maybe, one of the more useful pages on this site. It covers the areas of wind playing techniques, practice methods, instrument manufacturers, DIY repair, free legal printed music sites, music-associated electronics, wind synths, and anything that doesn't fit comfortably elsewhere. PERFORMERS - my own (biased) list of players whom I hold in high regard. It is certain that this list will expand. Many players who deserve a mention may have been omitted - no-one can know of all the exciting wind players who are performing. Please let me know of those you regard as glaring omissions! ARRANGERS - includes composers of wind music, and covers those amazing, creative souls who turn imagination into soundscapes - especially those who use wind instruments to greatest effect. EDUCATION - contains links to that very broad subject area, and maybe a few comments. THE JUKEBOX "Samba Dees Days" - Apologies to Stan Getz!